App Store Optimization is a way of ensuring your app meets app store ranking criteria and rises to the top of a search results page. But how does a marketer optimize for better discover-ability in an app store? To help you boost your app marketing strategy and app store ranking, We have put together a list of 10 best App Store Optimization tips. How well do you know your customers and your competition? A well-formed App Store Optimization (ASO) strategy hinges on understanding how your customers use your app, along with a deep view of your competitive landscape. What language do my customers naturally use? How would they describe my app? What are their top reasons for downloading and using my app? What keywords do my competitors target? How easily can I compete against these apps on the same keywords? Should I target the obvious keywords or the less obvious and less trafficked keywords that better speak to my unique offering and points of differentiation? Your ASO strategy begins with putting yourself in your customer’s shoes. Your goal is to improve discovery in app store searches and target those keywords that drive the most traffic. The best way to identify these optimal keywords is consumer research — finding out exactly what search queries brought your customers to your app and the natural language they use to describe it. It’s equally important to survey your competition to identify which keywords are being targeted by apps similar to yours. You can then determine whether or not it makes sense to target these same keywords or a separate set of keywords unique to your individual value proposition. Similarly, you’ll have to decide if it makes more sense to rank in the top 10 for a few highly competitive keywords or to rank in the top spot for keywords with a lesser search volume. Kick off your research process with a tool like Keyword Explorer. Coming up with a unique name for your app isn’t just a matter of branding. For best results with ASO, include relevant keywords within your title, as this text heavily factors into app store search results. 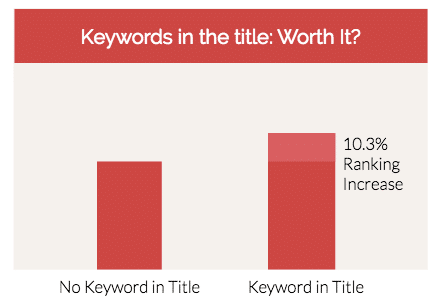 In fact, our friends at TUNE recently conducted a study of the top 25 ranking positions and found that apps with a relevant keyword in their title ranked, on average, 10.3% higher than apps without a title keyword. Titles in the App Store can be up to 255 characters, allowing for plenty of keywords or keyword phrases. However, don’t take this as an opportunity to stuff every keyword you can think of into your title; after all, your app’s name is, first and foremost, your first impression to a potential mobile customer. Longer titles, however, will be truncated on a search results or top chart page. Titles are typically truncated after the 23rd character (including spaces) in the App Store and the 30th character in Google Play. App titles for installed apps in a device’s navigation menu or home screen are truncated after 11 and 14 characters, respectively. To ensure that your app can be clearly identified, keep the actual name short and sweet. You can augment this short title with nonessential keywords after the name, typically preceded by a dash or vertical bar, to associate your app with select keywords. It’s also important to use only URL-friendly characters in your title, particularly in the App Store. Special characters or symbols will detract from your ASO strategy and cause iTunes to refer to your app’s numeric ID, rather than its name, to scan for relevant keywords. 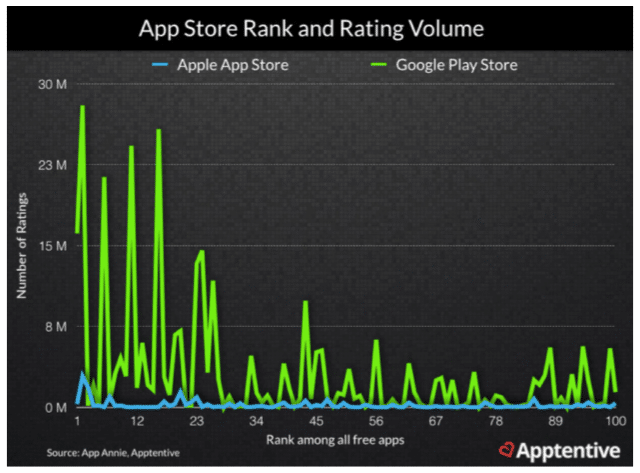 While many of these strategies apply across the board when it comes to the different app stores, the App Store and the Google Play Store have two very different approaches when it comes to ASO keywords. The App Store has a 100-character keyword field. It exclusively uses title and whatever keywords or keyword phrases you include in these 100 characters to determine which search strings your app will show up for. With this in mind, it’s important to use all of the allotted characters and carefully research your keywords to maximize your organic traffic. On the other hand, the Google Play Store takes an approach more similar to modern SEO. Google does away with the specified tags and scans your app’s description to extract relevant keywords. In this scenario, you’re given 4,000 characters to describe it in natural, customer-facing language. Without trying to jam as many keywords into this text as possible at the expense of your messaging strategy, try to sprinkle relevant keywords where they logically make sense. A recent Sensor Tower study showed that the optimal number of times to repeat a keyword in an app store product page is five, at which point you will maximize the likelihood of ranking prominently for that keyword. Additional mentions have little to no effect on ASO and may even turn off potential customers if your description appears intentionally repetitive. With this in mind, everything consumer-facing in your app’s product page should be designed not for an algorithm but for the customer. If its description is a hodgepodge of contextually irrelevant keywords, that coveted rank will become meaningless, as your wordy description will struggle to entice customers to take the next step and download it. For best results, write for the customer first, and make small edits for keywords next — remember that the ranking algorithms take both keywords and conversion metrics into account. With the exception of a few of the aforementioned strategically placed keywords, your app’s description should be targeted toward your customer base, rather than a search engine index. Your description should be viewed as a call-to-action for potential customers. Describe what it does in simple and concise language, list the unique benefits it offers, and compel the reader to download it. You’ve already convinced the app store that your app is relevant to a specific list of keywords, and now it’s time to convince your potential customers that it meets their needs. We recommend focusing the bulk of your energy on the first three lines of your description to immediately grab your reader’s attention. Given the ever-growing number of apps in the marketplace, customers are sure to have a few — if not several — alternatives to consider when evaluating yours. Make their decision easy by immediately communicating what it does and why they should use it. Your app’s description, as well as the rest of your product page, should be treated as a living document. As it changes with each new update, so should your description. Each time you submit an update, take the time to reflect the changes in your product page’s description and screenshots to call out new features and accurately portray it. As your potential customers browse a nearly endless list of apps, your visual icon is the first impression they’ll have of yours. It’s important to make it count! When approaching your icon design, it’s important to note that the App Store and Google Play vary in their approach to, and rendering of, app icons. Both stores have preset standards for the ideal size, geometry, and color scheme of app icons, designed to match the rest of the OS. For iOS icons, the most important thing to note is that icons should be sized to at least 1024×1024 pixels, the dimensions required by the App Store. From here, the Apple OS will resize your icon for any other applications, including app icons (180×180), navigation icons (66×66), and tab bar icons (75×75). Your image must therefore be designed with the meticulous detail of a 1024×1024 icon and the simplicity necessary to still look good scaled down to the smallest size. When designing an Android icon, the only difference is that Google Play requires a 512×512 icon, rather than 1024×1024. While not required, Google recommends designing app icons in accordance with its material design guidelines, which details everything from icon anatomy to lighting and shading. Regardless of which OS you’re designing for, you need an icon capable of breaking through the clutter. Icons should be clear enough that they immediately convey what your app does, even in its scaled-down form within the apps menu. As such, don’t overcomplicate your icon with unnecessary words or logos that demand extra time from your customers. To get an idea of what works historically, simply browse the top-rated apps in your category or Google/Apple’s top picks. Across the board, you’ll see a trend toward bright colors, unique shapes, and simple imagery. Few icons use words, and some will incorporate a border or drop shadow to make them pop, regardless of their background. And once again, it’s important to do a little competitive research to ensure that your icon is different enough to avoid having your app confused with a competitor’s. Like icons, screenshots in your description may not have a direct effect on search rankings, but they do drive downloads. Images convey more about what it actually is and bring your descriptive text to life, allowing potential customers to visualize using your app before they make the download. While you can upload up to five screenshots for an iOS app and up to eight for an Android app, only your first 2–3 screenshots will show in the gallery on page load. Take special care in ensuring that these screenshots speak to your biggest customer benefits and are strong enough to convince the reader to browse your additional screenshots or download it. While the app stores prefer images that are representative of the customer’s experience in your app, you can technically upload any graphic into the screenshot field — including concept or character art. Commonly, publishers will blend graphic design with their screenshots to incorporate a text overlay describing key elements or new features. 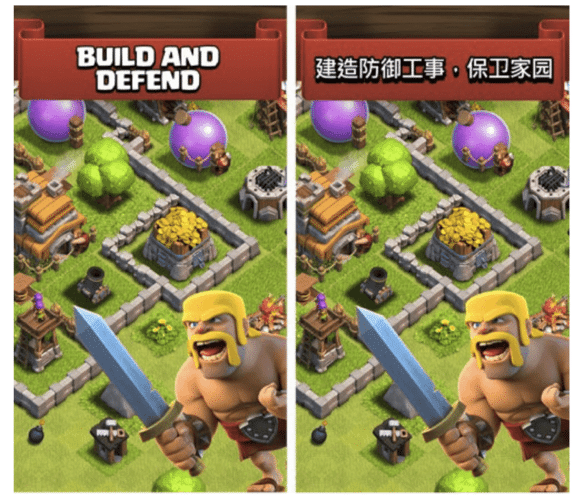 For example, Candy Crush Saga adds a graphic overlay to its screenshots to promote its new update. Whatever your approach, your screenshots should show off your app’s most pivotal features, latest updates, and the pages on which your customers will spend most of their time. Skip the pretty splash pages and show the customer what they can expect during everyday use. For best results, A/B test different screenshot sets to determine which screenshots drive the most downloads. When it comes to global marketing, a “one-size-fits-all” approach simply won’t cut it. Today, only 31% of app revenue is generated by North American consumers. And of those consumers outside the English-speaking world, 72% prefer to use their native language when shopping, even if they’re fluent in English. These two statistics speak to the massive opportunity available to app publishers. That is, those app publishers who are able to tap into this market by catering to the unique preferences of its customer segments. In other words, if your audience goes beyond the English-speaking world, consider adapting your brand communication and language to the wants and needs of each audience segment. At the most basic level, speak to your customers in the language they use at home. There are myriad solutions for low-cost translation or localization services that can translate your app’s title, keywords, description, and screenshots to the languages of your largest segments. Both the iTunes App Store and the Google Play Store allow you to localize your listing to make both discoverability and readability easier for customers in different countries. By doing so, you can increase both adoption and conversion, as more customers find your app using keywords in their language and as more customer download it after seeing a welcoming product page in their language. Together, these two effects can add up to as much as a 767% increase in downloads. At the end of the day, it’s important to remember that on-page optimization is just one tool in your mobile marketing kit. And this is where your SEO knowledge really comes in. It is widely believed that both Google and Apple factor in your app’s total page visits and product page backlinks when determining your search and overall ranks. Simply put, the more traffic you drive to your listing, the higher it will rank in search results. To drive traffic, build an online presence around your app with social media and content, soliciting press and reviews, and investing in online advertising. For many publishers, app indexing has proven the most effective strategy for driving traffic to an app’s product page. A relatively new concept, app indexing is the process of making Android or iOS app content searchable and linkable from a web or mobile web search. 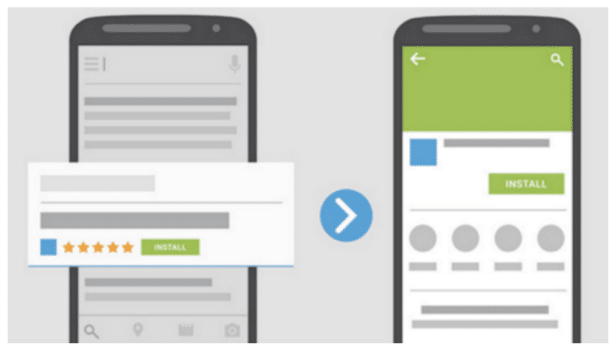 Customers who see you indexed in a search result can click on your link and be deep-linked to either it’s product page (if they don’t have it installed) or to the page in your app from which that content is indexed (if they have it installed). Indexing, therefore, helps with both re-engagement and acquisition by promoting your content in new channels. App indexing allows you to drive downloads and app store traffic directly from a search engine results page. Mobile customers are looking for apps that are constantly improving, with regular updates based on customer feedback. Apps that are frequently updated are seen, by both the app store and the customer, to be of a higher value and more customer-centric. Consequently, app updates highly correspond to better reviews as each new and improved version of the app should naturally receive higher ratings than the version before. Entice customers within your app (such as a note prompted at login, a push notification, or an update link prominently displayed in the main navigation) notifying them of the new update and what improvements they have to look forward to. Update the app description and the “What’s New” field in your app store product page to outline new/improved features with a compelling call-to-action. Maintain a large volume of five-star reviews for your app, and especially its latest version. Our 2015 Consumer Survey revealed that one-third of existing customers check an app’s ratings before downloading an update. Maintain a positive rating for an easy win. To come up with a general recommendation for update frequency, we scoured the 500 top-ranked apps and found that the average update frequency was between 30 and 40 days. Keep in mind, however, that each time you update an iOS app, your ratings reset — and with that, your rank temporarily plummets. As a result, frequently updated iOS apps experience slightly higher app store rank volatility, while frequently updated Android apps experience reduced volatility. Last but certainly not least, a consistent flow of positive reviews serves as the highest possible validation of your app’s quality and one of the highest determinants of rank. In our analysis of the 500 top-ranked apps posted last year on the Moz blog, we found the highest correlation between ratings (both average rating and rating count) and ranks than any of the other factors we tested. Across the board, apps with a large volume of positive ratings dominate the top charts. We also found that rating volume almost always trumps rating sentiment when it comes to determining rank. The app stores are looking to recognize apps that have the largest fan community — and the best proxy for determining that is the rating count. The apps with the highest rating counts are those that keep their customers engaged and proactively solicit customer feedback to shape their product roadmap and future updates. It’s important to keep in mind, however, that app store ratings provide just a myopic view of customer satisfaction. Typically, only your vocal minority — those who either love or hate your app — will take the time to write a review. In reality, most of your customers lie somewhere between these two extremes and require that extra engagement or prompt to give their feedback. With intelligent rating prompts, you can boost your rating — and ultimately, your rank — by prompting only those customers most likely to give you a 5-star review. Backed by an understanding of the data and science behind app store ranking algorithms and these top tips for App Store Optimization, you’re well on your way to a bullet-proof ASO strategy. With careful measurement and a little trial and error, you’ll soon catapult past your competitors in the app store top charts. Of course, App Store Optimization is an ongoing process, thanks both to the continually evolving ranking algorithms and to the competitive nature of the app stores. A successful ASO strategy requires a keen eye, a penchant for analytics, and regular check-ins. Manage this, and your investment will pay off many times over. See you on the top charts! Social media is a key component of effective online marketing. Unless you’re selling arrowheads to cavemen, odds are that your target demographic is on social media every day—and most businesses know that. So if you’re on social media already and you’re posting regularly, but you’re not seeing any results from your efforts, you might wonder what you’re doing wrong. Here are 5 common mistakes that social media marketing novices make, and how you can correct the problems. Everybody knows somebody who seems to love talking about themselves. Every conversation with the person is “me, me, me” until you tune them out or just walk away. You know that you don’t like that person, and yet, too many people become that person when they’re marketing on social media. They share only their own blog posts, talk only about their business, and self-promote endlessly. Who wants to engage with someone like that? So if you’re noticing very little engagement with your posts, take a look and ask yourself how many of them are just about you. If it’s the vast majority, tone down the promotion and try sharing content from other people, or talking about general industry topics instead of just talking about your business. You can’t just be on social media and expect it to work for you. You need to have a strategy in place. Who is your audience? What are your goals? What tactics will you use to engage your audience? How frequently do you intend to post to each platform? What platforms will you use? All of these questions are vital in determining the direction of your social media marketing strategy, and each one needs to be carefully answered before you begin posting. It seems like a lot of people online are just there to spread negativity. In your personal life, it’s okay to ignore those people. But in your professional life, if you see any negativity directed at your business, you need to respond to it—and quickly. Ignoring negative posts or messages can quickly snowball into a crisis for your online reputation. So when you see a post or message with criticism for your company, answer it as quickly as possible in a polite manner. But don’t just give a blanket apology. Your online audience wants to see you taking actions to rectify a bad situation. So engage with the person, and ask how you can fix the problem for them. When you’re just starting out with social media marketing, you might feel like you have to jump on every platform out there. This isn’t true. Ask yourself where your target audience is likely engaging the most and start there. For B2C businesses, Twitter is a good platform to use. For B2B companies, LinkedIn is more effective. Facebook is a tried-and-true platform that works well for most companies. Start out on just one or two platforms, and offer consistent, quality content there. Once you’re sure you can offer the same high-quality content elsewhere, you can begin to branch out. Your social media profile can’t be the only online voice your company has. You need to have a presence elsewhere, even if it’s just on your own blog. Look for opportunities to engage, write, and speak about your area of expertise in other places on the internet. For example, look at social media influencer and business advisor Tai Lopez. His internet presence is widespread. Not only is he active on virtually every social media platform, but he also writes for websites like Fortune.com, has his own online blog, and hosts a daily podcast. This type of widespread influence allows you to establish your online voice and gives you fresh content to share on social media every day. So if your social media marketing isn’t paying off, ask yourself if you’re making any of the mistakes described above, and take measures to correct it. 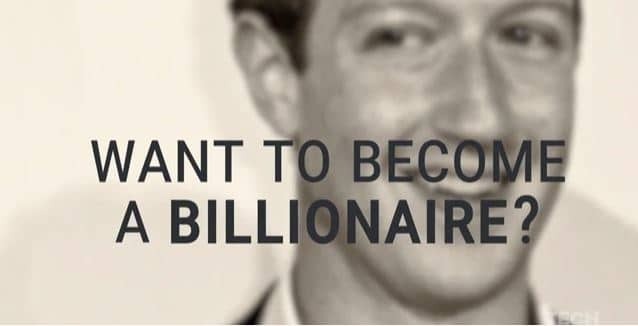 What to become a billionaire? Your best bet could be solving a problem that’s eluded engineers for decades. Here are the leading problems waiting to be solved. By solving any of these you may become a billionaire easily. Forget about better batteries. 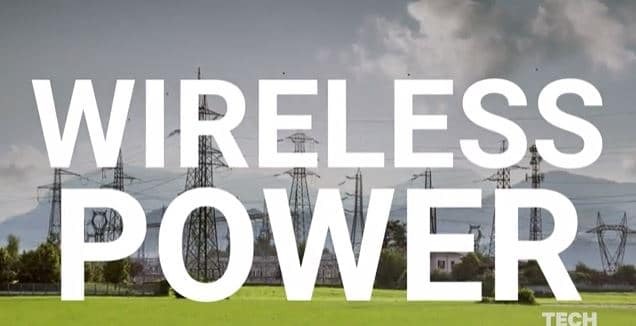 the future of longer-lasting phones, tablets, and other technology is wireless power. figure out how to turn your TV or cellular transmission into a power source. 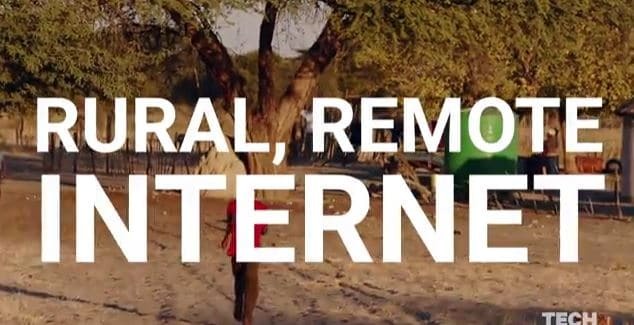 Internet dead zones are still a problem, especially in rural areas and developing countries. but solving them is a difficult challenge, one that Google and Facebook are tackling head on. If you can find a faster, cheaper approach than Google. You could make billions. Today, solar panels are all the rage in upscale neighborhoods. But that are highly expensive to install, which makes them inaccessible to the middle and lower class. 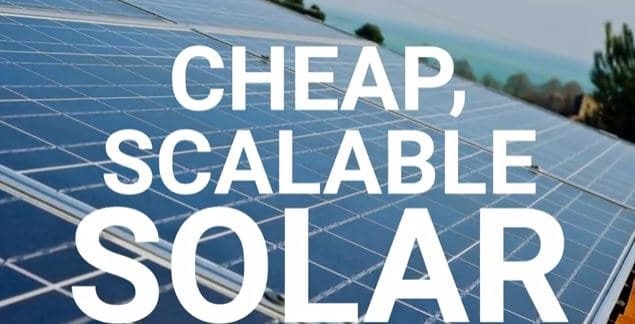 Design a cheap, highly efficient solar cell and you will have to holy grail of electricity on you hands. Drought and water shortage is a huge problem. But what if we could turn ocean water into drinking water through desalination? 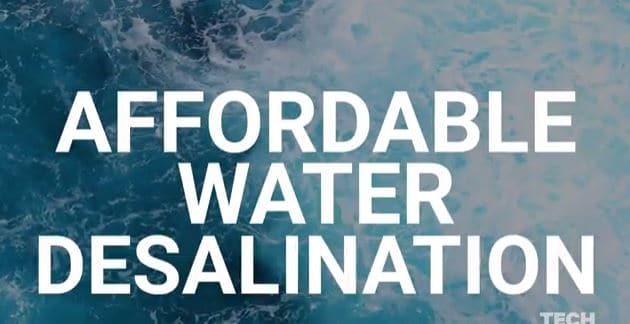 so far no one has designed a desalination plant that’s economically viable. you could be the firt to solve one of these world’s most pressing issues. predicting the weather is hard. but major weather events like earthquakes, hurricanes, tornadoes and typhoons cost billions of dollars each year in damage. The iPhone is a multimedia enabled smart phone designed, manufactured and marketed by Apple Inc. The first of its kind was introduced in early 2007 and since then it has gained great popularity among its users. The smartphone has a variety of complex and advanced functionalities and its use has always left the users delighted. It can function as a camera phone, portable media player, visual voicemail and can be used for text messaging. The device has been used on several occasions as an internet client in web browsing, email and Wi-Fi connectivity. Just like the iPad, navigation through the device’s capabilities is through its wide multi-touch screen enhanced with a visual keyboard. Through the App Store launched in the year 2008, users can be able to search and install applications on the device to enhance some capabilities. The applications may range from social networking, reference, games, GPS navigation and advertisement features. At the moment, there are approximately four iPhone model generations that have been accompanied by four major IOS releases. Each release has embraced more features in terms of storage capacity, installable applications, visual and audio media and the camera capabilities. However, the original Iphone has shaped the screen size and keyboard placement which has persisted throughout in the later models. The iPhone 3G has 3G network capabilities as well as A-GPS location. A compass, higher resolution camera for photos and video and faster processor were integrated in the iPhone 3GS model. The coming of the iPhone 4 introduced better features. The device has higher resolution display and dual cameras which can be used for face time video calling. The user interface is enhanced with graphical features to demonstrate the functionalities that can be achieved. In this article, we are going to bring to you 25 “iPhone hidden features” that are really, truly hidden and mainly hidden in the Settings app that basically we would not look into unless required. Redial: To make the last dialed number appear, press the green call button on the keypad screen in the phone app. Clear cache: Using a secret trick, you can make your iPhone run faster by clearing out the cache in numerous Apple’s apps. Tap on any single tab icon at the bottom of the screen 10 times in a row in the App Store, Podcasts, Music, Game Center and Phone apps. Make TouchID work faster: TouchID will work much faster if you the same fingerprint multiple times as different entries. This is particulary useful on older phones like the iPhone 5s and iPhone 6. Spotlight conversions: For easy conversions, just open Spotlight and type something like “50 euros in GBP,” and it will immediately carry out the conversion. Spotlight math: No need to open the Calculator app to do a quick math problem. Just pull down to open Spotlight and type it right there. Delete numbers in the Calculator: You can delete single digits when you tap the wrong number by swiping left or right on the screen where the numbers appear. Clear RAM to make your phone run faster: Until you see “Slide to power off”, hold down the power button and then let go. Later, hold down the home button until the screen goes blank and your home screen reappears. Burst mode: To shoot in burst mode, hold down the camera’s shutter button. Remote shutter: To snap a photo in the Camera app, use the volume up or down button on your headphones. Turn the flashlight off: To turn off the flashlight, you need to simply swipe up on the camera icon on your lock screen. 3D Touch while drawing: All of the drawing tools and the eraser are pressure sensitive in the Notes app. Close multiple apps at once: To open the app switcher, double-tap the home button and then you can use two, even three fingers to slide multiple apps closed with one swipe. Recently closed tabs: To open a screen that lists all of your recently closed tabs, simply tap and hold on the + symbol in Safari on the tab carousel view. Desktop version of a site: Just hold down the reload button in the URL bar to request for the desktop version of a site. Peek at tabs: A 3D Touch will let you peek at the tabs that you wish to open in the Safari tab carousel. Peek at bookmarks: You can use 3D Touch to Peek at bookmarks before you open them. Edit reminders: To edit the time or add a location, 3D Touch an item in your Reminders app. View only unread emails: To see only unread emails in your inbox, tap the Mailboxes link in the top right corner of the Mail app and then tap Edit. Tap the circle next to “Unread” and you will get a new folder that comprises only your unread emails. Save a draft with one swipe: To save a draft, tap on the subject line and swipe down to the bottom of the screen in the Mail app. Quick Reply: Without leaving the screen you are on, pull the notification that indicates you have a new iMessage or SMS at the top of the screen downward for quick reply. Hidden level(s): Open the level by sliding to the left in the Compass app. Then with the screen facing away from the ground, place your phone flat to reveal a bubble level. Artist Peek: 3D Touch an artist in the Music app to Peek at their music. Renewable Low Power Mode: You will receive a notification on your lock screen that Low Power Mode has been disabled, as it automatically shuts off when you charge. To turn it back on, swipe left on that notification. Find an iPhone’s owner: To return a lost iPhone to its owner, you just need to simply ask Siri, “whose phone is this?” and it will show you so you can get in touch with him or her. Reachability: One of the best new feature of iPhone, you need to double-touch (don’t tap, touch) on the home button and the entire screen will shift down so you can reach the top without shifting your grip. MySQL’s founder is encouraging people to steer away from his creation. Here’s why he’s wrong. Schism between the worlds of open source and proprietary software is never going to go away as long as open source remains viable and competitive. Eventually, you have a meeting of both worlds. In the case of MySQL, it was when Sun Microsystems purchased the open source database for $1 billion in 2008, a significant multiple given MySQL was about a $50 million business at the time. MySQL was the cause of the significant hang-up when Oracle tried to acquire Sun in 2009, as MySQL founder Michael “Monty” Widenius staunchly opposed the deal and complained to the European Commission. The whole $7.5 billion deal was held up almost a year because of this one product, which Oracle made major promises to support in return for getting the European Commission off its back. Monty hasn’t given up his assaults on MySQL, even though he took the entire code base circa the Oracle acquisition, forked it, and made a new product calledMariaDB. Monty is welcome to his own opinion, even if he has been on this charge now for four years and looks a little obsessed for it. He’s a successful, respected developer whose complaints can’t be merely dismissed as sour grapes. After all, he got $1 billion out of Sun. He can argue he’s fighting on principle. 1. There is more MySQL investment and innovation than ever before. The conventional wisdom in the open-source community is that Oracle wanted MySQL so it could throttle the threat to its RDBMS business. This accusation would make sense if Microsoft was the accused firm, but not Oracle. 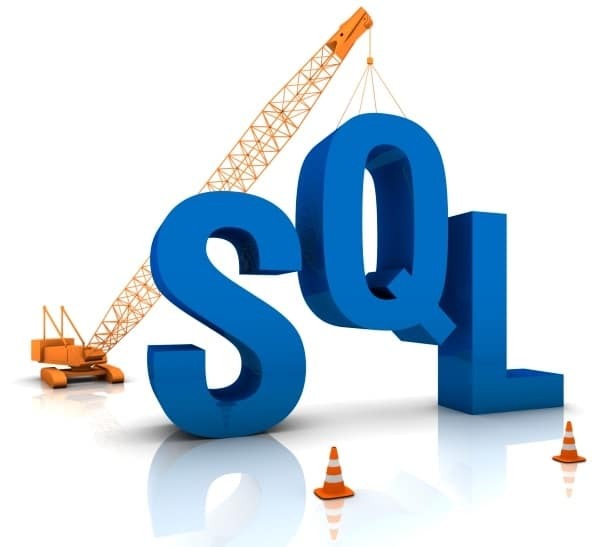 Its flagship database is far and away more advanced and MySQL was at best going to nibble around the edges. Since the acquisition, Oracle has increased the MySQL staff and given it a more mature engineering process. Rather than the typical open-source project with people scattered around the planet, engineering and planning is driven from Oracle. In this time, one developer notes, the company has been making the code more modular. That means short-term work but long-term payback. In MySQL 5.6, they split one of the crucial locks in the MySQL Server, the LOCK_open, which could improve top performance by more than 100%. Plus, the major storage engine for MySQL is InnoDB, and Oracle acquired InnoDB back in 2005. The InnoDB developers, also located within Oracle, work with the MySQL and Oracle database teams for even better integration. 2. MySQL products remain solid. MariaDB and open-source advocates complain that new code in MySQL 5.5 doesn’t have test cases and that some of the enterprise features in version 5.5 are closed source. That is a matter of open source purity, of course, and one for any customer to take into consideration. Still, when it came out in February, MySQL 5.6 was well-received as a solid, well-performing product with a number of new features. Oracle spent two years releasing Development Milestone Releases (DMR) to the MySQL Community for testing and feedback. MySQL 5.6 went from 4 CPU threads in prior versions to 64 CPU threads, nearly tripled the number of concurrent connections from the prior version, and saw a four-fold improvement in read speed. 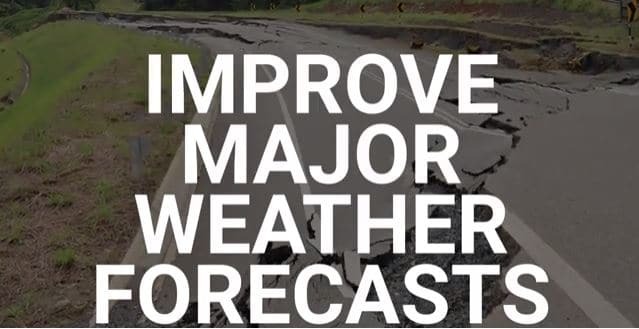 There are many more improvements that would take too long to list. Robert Hodges, president of the database clustering and replication firm, said he has no doubt of the viability of MySQL and has yet to meet a manager who fears MySQL will be ruined by Oracle. The bottom line is that Oracle is growing MySQL into an enterprise-class DBMS. Oracle was not deaf to the trends in computing and put emphasis on the Web, cloud computing, and big data projects. The focus was on both MySQL and MySQL cluster to provide improvements in scale-up and scale-out performance, high availability, self-healing and data integrity, provisioning, monitoring and resource management, developer agility, and security. To support cloud services, MySQL replication has been greatly enhanced to include a new feature, Global Transaction Identifiers (GTIDs). GTIDs make it simple to track and compare replication progress between the master and slave servers. This makes it easier to recover from failures while offering flexibility in the provisioning and on-going management of multi-tier replication. In April 2013, Oracle announced the MySQL Applier for Hadoop. The Applier enables the replication of events from MySQL to Hadoop / Hive / HDFS as they happen and complements existing batch-based Apache Sqoop connectivity. One of the first firms to embrace MySQL in a Big Data environment is Nokia, which consists of a centralized, petabyte-scale Hadoop cluster that is interconnected with a 100TB Teradata enterprise data warehouse (EDW), numerous Oracle and MySQL data marts, and visualization technologies that allow Nokia’s 60,000+ users around the world tap into the massive data store. And MariaDB? Good luck finding anything related to Big Data there. MySQL Enterprise was introduced before the Oracle purchase, but Oracle has significantly improved the product. Version 5.6 added High Availability features like Replication, Oracle VM Templates for MySQL, DRBD, Oracle Solaris Clustering, and Windows Failover Clustering for MySQL. It also introduced Enterprise Audit to perform policy-based auditing compliance on new and existing applications. There’s also the Enterprise Monitor, which continuously monitors your database and advises you of best practices to implement. It also offers Query Analyzer to monitor application performance and Workbench, which offers data modeling, SQL development, and comprehensive administration tools for server configuration and user administration. 5. There are more MySQL projects than before. Before the acquisition, MySQL AB had 400 employees in 25 countries, with 70% working from home offices. That’s a remarkable bit of juggling, but there are arguments to be had for working together. But as Yahoo CEO Marissa Mayer noted when she put an end to the extensive remote workforce at Yahoo, to get things done, you need to collaborate. That means being in the same building. A MySQL Architect at Oracle said in his blog that Oracle has new, whole teams working together, some in its giant towers in Redwood Shores, California and other based elsewhere, working on special projects for MySQL. A whole group is working on the clustering software. There is another group working on manageability, a whole optimization team working on database algorithms, another team working on replication (vital for cloud and Big Data), and a whole team making it more scalable. None of the anti-MySQL arguments are against the product’s performance. Most of Monty’s arguments stem from open source purity, and he has the right to make that complaint. But MySQL was a $75 million company when Sun bought it. Oracle is a $37 billion company. It knows a few things about professional software development and it’s going to do things its own way. It has turned over the basic MySQL code to the GPL, but its own extensions, like Enterprise Edition, are not obliged to be open source. Monty more or less held up the Sun acquisition for months with his protests to the European Commission. Now he’s throwing stones from the outside. There comes a point when an advocate can become a nuisance and his actions can backfire. The FCC’s CyberSecurity Hub at www.fcc.gov/cyberforsmallbiz has more information, including links to free and low-cost security tools. Google hit a bullseye with smartphone users when it brought out the first version Android operating system. At that time when Nokia and its proprietary Symbian operating system, ruled the roost in smartphone market, Google brought out the first version of Android in 2007. Today Android smartphones rule the world with over 85 percent of the smartphones in the world running on various versions of Android operating system. Android’s source code is released by Google under open source licenses, although most Android devices ultimately ship with a combination of open source and proprietary software, including proprietary software required for accessing Google services. Android is based on the Linux kernel and designed primarily for touchscreen mobile devices such as smartphones and tablets. Android’s user interface is mainly based on direct manipulation, using touch gestures that loosely correspond to real-world actions, such as swiping, tapping and pinching, to manipulate on-screen objects, along with a virtual keyboard for text input. The Android Apps and games, which are so popular among smartphone users are compiled by developers using the Android software development kit (SDK). This Android SDK is compiled using Java programming language. So, why Java? Java is a known language, developers know it and don’t have to learn it. Java has yet again emerged as the world’s most popular programming language. Also there are lots of engineers who specialise in Java making it easier for them to compile Apps and Games. It’s harder to shoot yourself with Java than with C/C++ code since it has no pointer arithmetic. It runs in a VM, so no need to recompile it for every phone out there and Java is easy to secure. This is Java’s very important feature. Running on a VM (thus no recompiling) is a huge plus. Also, it easily separates processes from each other, preventing a rogue application from destroying your phone or interfering with other applications. Every App has assigned its own address. All addresses are translated by MMU. This provides base level security to the App and the Android ecosystem by preventing leakages. As said in point number 1 above, since Java is the most popular programming language, a large number of development tools are available for developers. Java has huge open source support, with many libraries and tools are available to make developers life easier. Several mobile phones already used Java ME, so Java was known in the mobile industry and the engineers. Also Android as a operating system runs on many different hardware platforms including smart TVs, Android wear etc. Given that almost all VMs JIT compile down to native code, raw code speed is often comparable with native speed. A lot of delays attributed to higher-level languages are less to do with the VM overhead than other factors (a complex object runtime, ‘safety’ checking memory access by doing bounds checking, etc). Java allows developers to create sandbox applications, and create a better security model so that one bad App can’t take down your entire OS. In addition to above points, at the time of development of first version of Android, the available languages like Go and Rust werent exactly popular and quite niche programming languages, so prioritising native languages would’ve meant the Android development team going with C or C++. Go was used in the earlier versions of Android and found to have its limitations. Rust was smaller still, so betting Android’s whole OS’s development ecosystem on such a niche language would’ve been a bad idea. Even the most diehard of programmers and coders will agree that C and C++ are notoriously difficult to work with, and even very senior engineers make dangerous mistakes very often. This is the reason, Microsoft chose to develop its on .NET architecture, however developing a separate language for Android would not have been feasible for Google at that time. Also during the time the first Android version was being worked on, the JVM/CLR languages (i.e. the Java family and the C#/.NET family) were under ownership of Sun and Microsoft respectively. So it would not have been feasible for Google to use its ‘enemies’ programming language. Only after Oracle bought out Java and Google reached an understanding with Oracle that all proprietary issues were resolved. Java is an absolutely massive ecosystem, and you have an embarrassing wealth of both libraries and tooling available for it, which mitigates how mediocre the language itself is. Where Apple had home field advantage by using Objective C in iOS (with Obj-C being the primary language for OS X development), Google’s choice of Java meant not having to build that ecosystem from scratch. As seen above, Java was simply the best choice available at the time. Google has never officially commented on why it is using Java for Android SDKs but the above reasons are enough for Google and the Android team to back Java all the way. With several programming languages available in the market, it is very important to choose the ones that can help you plan your future or plan your development teams. There are constant lists about top programming languages that come out every year. TIOBE, a Netherlands-based company is one such company that keeps a regular list of the most commonly used languages and assesses code for quality. The company’s list not only shows the relative popular languages that it is testing currently, but also a good picture of the development market as it exists right now. Another way to figure out which programming languages are currently hot in the market is looking at the companies graph for hiring programmers, which in turn gives us a peek into the future. Toptal is a company that acts as a broker between developers and the companies that want to hire them. It has a list of the most popular languages used in hiring searches — a list that doesn’t directly track to the TIOBE list. 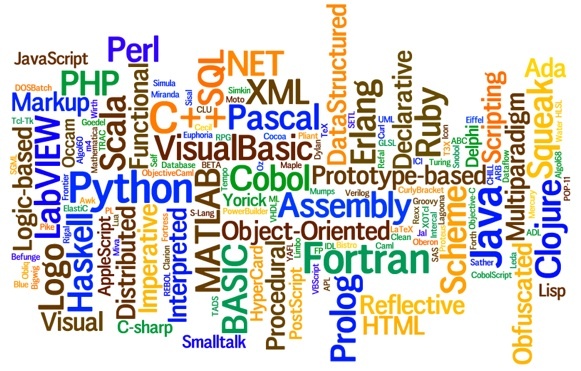 List of Top Programming Languages. The other language at the top of Toptal’s chart is HTML. “For any web project, HTML is going to be there. Whether it’s a Ruby on Rails or Rython job, HTML will be there. It shows that Web pages are still in demand,” Oliveira said. Let’s have a look at the languages most commonly used in March 2016. For the last three years, Java has been an important business programming language for companies, which is no surprise. It’s one of the top languages taught in university computer science programs and known by everyone. It’s both adaptable and powerful, as long as you don’t have to reach down to simple metal for your application. C has come a long way from the time when it started life telling long-distance telephone switches how to work. For the last decades, it has been almost near the top of the “popular programs” list, and doesn’t really show any indication of slowing down. If you need to cut through all the APIs and SDKs and directly influence the hardware itself, then C is powerful and the next best thing to assembler. Of course, C is a procedural language, which places it one step above carving code into stone for many developers. In the early 1980s, Bjarne Stroustrup developed a pre-processor that gave C classes and objects, and he called it C++. It’s a cliché to say that the rest is history, but really, there it is. Since the mid-1980, C++ has given a strong competition to C, and long since been developed as its own language rather than a simple pre-processor for its foundation language. This is another language that is regularly taught in universities. However, if you need to write code similar to C++ but specifically enhanced for a Microsoft environment, you can turn to…. Microsoft made a tactical decision to develop a language based on C in 2000, which was enhanced for the .NET environment. And the outcome was C#. C# (pronounced “C sharp”) is an object oriented language, which with the help of C-like syntax makes it possible to create well engineered code. Maybe most important for many developers, C# is tied tightly to the Common Language Infrastructure (CLI), which allows a program to be written and compiled once, then executed on multiple different platforms. There are additional ways to run applications on a number of different hardware platforms. While Python doesn’t need the involvement of internet, but there’s a good chance that you will find Python wherever you find an advanced Web application. PHP is used as a general-purpose programming language that has crossed over as another scripting language in many organizations. In comparison to Python, PHP is more closely connected to a browser, although it can also live inside a number of application management systems and frameworks. The name “Visual Basic.Net” is outdated, as it made sense at the turn of the millennium, when Microsoft was trying to differentiate the language that was part of its .Net framework from what had come before. Visual Basic is a perfectly suited language for building business process applications, especially if you want those applications to include functionality or an interface from one of the Microsoft Office applications. Mostly used for scripts, Perl is an interpreted language that holds snippets of larger applications together. While it is doubtful one can make a career out of Perl alone, it is however necessary that this language should be in every developer’s toolkit. Ruby is not primarily a scripting language unlike many of the languages mentioned above. Rather, it is an object-oriented, compiled, full-featured programming language with a syntax that should be known to anyone who is acquainted with Python or Perl. Ruby has been used to code frameworks and controllers, most notably Ruby on Rails, which offers structures for Web pages, databases, and other complex applications. While they are not the same, the two share language and hence should not be confused for one another. An outcome of recession and subsequent signs of recovery has been a growth in self-employment over the last decade. Developments in genetics, artificial intelligence, robotics, nanotechnology, 3D printing and biotechnology are all laying the foundations for a revolution more comprehensive and all-encompassing than anything we have ever seen. The current technological revolution is not just a race between humans and machines but rather it has provided an opportunity for work to truly become a channel through which people recognize their full potential. Technological, socio-economic, geopolitical and demographics developments and interactions between them have generated new categories of jobs and occupations. It is exciting for people who want to have work fit into their lives instead of trying to find time for life outside work. At present, the ability to work from home is considered a great advantage by many professional in all kinds of different industries. These independent workers are becoming a growing force for U.S and it is really broadening across occupations and industries. In recent past years, freelancing has increasingly gained immense importance as the future work. Today, many skilled professionals with many years of experiences are pursuing freelancing as a career. Breaking into any creative field like photography, design or writing, isn’t always easy but freelance work is a great way to get your foot in the door with potential employers. According to UpWork, an online marketplace, the demand for content marketing skills is up 136%. WooComerce, a direct sales platform, increased 134%, 53% increase was observed by virtual assistants and 51% by electrical engineering jobs. It is the best time for freelancers to start their work; there are more avenues available to find work, to make contacts, to connect with others, etc. thanks to technology and its ability to network. There is much to learn how you can set up shop but you don’t get to be an artist until you’ve been a salesperson. Companies and employers in today’s circumstances look for freelancers who arrive with skills and knowledge they need. You need to practice with your skills until you are able to produce work which is better than they already have. If you aren’t passionate about your work then you shouldn’t be working for yourself. Until you improve your basic understanding of the fundamentals of freelancing, you will continue to have issues working and will see your lack of preparedness spill into over your dealings with clients. Freelancing is a profession with zero barriers to entry and many people jump directly into self-employment with little to no experience in the actual marketplace. Running your own business is a tough racket and it requires an enormous commitment and takes a perseverance that is impossible to quantify. The sophistication of jobs is increasing and employers have started demanding freelancers to build out entire technology and content ecosystems for them. Clients more often look for high-quality work as opposed to low price but they are always willing to pay more for a freelancer who has a great reputation and has produced exceptional work. Since the financial crises of 2008, Pakistan has faced incredible security challenges and economic turbulence. If there is one thing that becomes clear when looking at a complex country like Pakistan, it is where there are gaps there are also innumerable opportunities. Filling these gaps through freelancing can be highly profitable, it will be able to provide a valuable boost to our country’s economy and its people by providing solutions to development problems. Pakistan may be still new on the scene when it comes to freelancing but changes are happening quickly. Generating wealth through freelancing is only one aspect; most importantly it can solve problems. Sizable population of our country is malnourished; many people are unable to feed themselves and their families due to food price inflation and lack of job opportunities. They depend on Government ideals and NGOs and nobody comes forward with an entrepreneurial mindset to make them financially independent. By choosing freelancing as a career, Pakistani youth has been able to create self-employment. They have created a culture of entrepreneurship by capitalizing on local knowledge. What is particularly heartening is that with changing requirements of the IT world, Pakistani youth has acquired the tools that are necessary to create an enabling environment for entrepreneurship. Many Pakistani freelancers with successful existing startups are using their expertise in the country now. Along with making profits, freelancing path has enabled them to make concentrated efforts to transfer knowledge and technology. The options are abundant and clear to freelancers and entrepreneurs who want to enrich Pakistan.